My father's extended family usually gather together at the beginning of December to make Laufabrauð, spending a whole day kneading, cutting and frying, before sharing a festive meal. There are usually 12-15 of us working together, turning out a couple of hudred of these flat, decorated breads in one day. The bread gets divided evenly between the families, who take it home and store until Christmas. This year’s gathering is tomorrow, so here is a recipe and I will try to remember to take photos to post. I'm sorry for the inconvenience and all the reposts, but I am in the process of labelling the posts to make it easier to find recipes by main ingredient, cooking method and other criteria. This is a lovely pudding, rich and thick with the texture similar to crème caramel. It makes me think of spring, as it's the time when the cows calve and colostrum is readily available if one knows an obliging farmer. Colostrum is not sold in supermarkets, but you can sometimes find it at the Reykjavík flea market's food section. Mixing the colostrum with milk is an art one has to learn, but the rule of thumb is that if it's from the first milking, then it should be thinned 1:1, but if it's from the second milking, then it should be thinned with two parts colostrum to one part milk. To make sure you're getting the mix right, do a test batch and cook it to see how it comes out. It's rhubarb season, so here is a recipe to try. Rhubarb grows in abundance in almost every vegetable garden in Iceland, right alongside the potatoes. In the summer, it is mostly used for soup and grautur (compote). It is preserved mostly as jam, but it also freezes well, and tastes excellent when preserved in syrup. There are many homes where rhubarb soup/grautur is eaten throughout the winter. It is also good for desserts (especially pies and compotes) and chutneys, and it makes excellent wine. My mother used to make rhubarb compote about once or twice a month through the summer when I was little, but after my brother decided that he didn't like it, she hardly ever makes it anymore. This is one of the cakes my mother always makes for holidays like Christmas and Easter, and for birthdays and other special occasions. Cream together the sugar and softened margarine or butter. Mix in the eggs. Sift the flour with the spices, baking soda and cocoa. Add to the margarine mix, one tablespoonful at a time. Alternate with splashes of milk, and mix well in between (batter should be medium thick). Pour into cake tins and bake at 190°C until firm. Cool. My mother makes these cakes about as thick as her thumb, and uses three layers of cake and two layers of vanilla butter icing. Tastes great with whipped cream. I don’t know where the name for this yummy cake originates, but I think it’s a good one. I learned to make it in home economics class when I was in elementary school. Mix the dry ingredients together in a bowl. Add the butter/margarine and mix well with your hands. Add the egg and mix well. Press the dough into a round baking tin, saving some (a small handful or so) for the topping. Spread with the jam and crumble the rest of the dough over the cake. You can also use the leftover dough to make a pie lattice for the cake (reserve more dough for that)). Bake at 200°C for approx 20 min. or until the cake takes on a dark, golden color. Delicious hot or cold. It's almost blueberry season in Iceland, so here is a recipe to try. What we call bláber (blueberries) in Iceland are actually the related bilberries. Either bilberries or blueberries can be used in this recipe. Drop the berries into boiling water and cook on low until they burst, 3-5 minutes. Mix together potato starch/cornflour and cold water into a smooth paste. Add sugar to the soup and stir until melted. Thicken with potato starch/cornflour mix. Serve and enjoy. -Use more thickening mixture to make a blueberry pudding. Pour into a bowl before it stiffens and sprinkle sugar on top. Serve warm or cold with milk or cream (or half and half). This is a flavourful sauce that I use for chicken, fish and pasta. This makes a meal for two. This is THE Christmas dish in many Icelandic homes, although not in mine. I must admit that I have never tasted ptarmigan, but this is such a typical Icelandic Christmas dish that I had to include it here. Some of my friends claim that there wouldn't be any Christmas in their homes without it. For some, it has to be birds shot by their father, brother or uncle, but these days more and more people don't feel like going through the whole process of shooting, hanging, plucking and cleaning the birds. They people simply go to the next supermarket and buy the birds ready to cook. Here's a refreshing summer drink that has a taste reminiscent of a popular Icelandic soft drink, Mix, only not quite as sweet. Pour the pineapple juice into a highball glass, add the Sprite and top up with ice. Decorate and add a straw. For a sunset effect, pour a little bit of Grenadine down the side of the glass after you pour the Sprite and allow it to settle on the bottom before you add the ice. It's called a snake cake because the slices look like stylised coiled-up snakes. Cream the eggs and sugar together. Add the flour and potato/corn starch, little by little. Prepare a temporary baking container by putting baking paper on a baking sheet and folding in the corners to make a shallow "box". Pour in the dough and smooth with a spatula. Bake at 250°C for about 10 minutes. Set the oven to heat from below. Test for doneness by gently pressing the top of the cake with your finger - if the cake feels firm and the fingerprint quickly disappears, the cake is done. When done, turn the cake over onto a sheet of baking paper sprinkled with sugar. Put baking paper and a roasting pan or cutting board on top of the cake while it cools, to keep it smooth and prevent it from hardening. Fish balls are one of the many ways in which Icelanders like to cook fish, and the recipes are numerous. 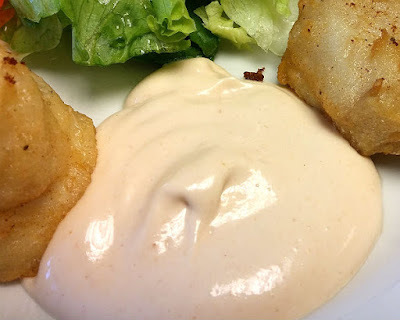 When I was little I loved to eat fish-balls in pink sauce (see recipe below), mostly because of the colour of the sauce. Finely chop or grind the fish fillet and onion. Mix together in a bowl (or just throw both ingredients into a food processor and let it do the work). Add the dry ingredients, mixing well. Add the eggs and then the milk. The fish-dough should be just thick enough to stick together when you form it into balls. Form small balls with two tablespoons or use your hands. Fry in oil or butter over medium heat, until browned and cooked through. Serve with fresh salad and potatoes. Ketchup also goes well with fish-balls. It seems the world is finally to taste this unique Icelandic dairy product outside Iceland. Skyr and some other Icelandic products will soon be available from the chain store Whole Foods Market in the United States. A Danish dairy factory has started making skyr for local distribution, and skyr will soon be available in several other European countries. If you see skyr on sale anywhere outside Iceland, please let me know. Edit: See Rebecca's Comment for a heads up on the Whole Foods Market situation. This will make enough for two layers. The cake tins should be about 23 cm/9 inches across. Eggs should be at room temperature. Whip the egg whites (you can use the yolks to make ice cream) until they are stiff and form peaks. Add the sugar in small doses, whipping well in-between. Whip until the dough is stiff and then fold in the chocolate chips. Line the cake tins with baking paper and lightly grease the paper. Divide the dough between the tins and level the top. Bake at 100 C/212 F, for 1 1/2 to 2 hours. When the baking time is over, let the cakes cool with the oven. 1 can strawberries in syrup or equivalent in fresh strawberries.